Womenintechnology was launched on International Women’s Day in March 2005 as an information portal for female technologists. Within a week of the launch, they were approached by companies who wanted to advertise their IT jobs on the website. Since then the job board has gone from strength to strength. They’ve run over 30 networking events covering topics such as “Political Savvy for Women in IT”, “How to get ahead in IT – successful career strategies for women in technology” and “Powerful Conversations – Successful Negotiation Skills for Women”. 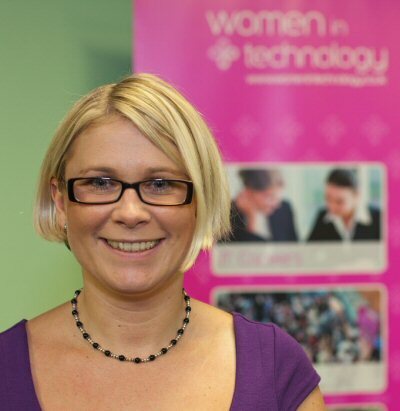 MD Maggie Berry gives us her views on women in technology. A lot has happened since 2005, when Women in Technology was launched. We’ve experienced what some called the worst recession since World War II, witnessed the inauguration of the first African American President and seen the world go mad for the iPad. But when it comes to women in IT, what (if anything) has changed in these five years? For me, the most obvious development is the huge growth and impact of social media. Five years ago, social networking was confined to teenagers building MySpace pages to share with their friends and a few students in the USA talking on a site called Facebook. Fast forward just a few years and we have microblogging sites like Twitter, business networking sites like LinkedIn, a huge boom in blogging and the vast expansion of Facebook to one of the biggest sites in the world. Social media hasn’t just revolutionised the way in which we connect with old friends or share pictures; it has given women in IT great opportunities. Networking is now so much easier – these sites are the perfect way to keep in touch with interesting contacts you meet, and to build relationships with new people you may have otherwise never talked to. Never underestimate the power of a good network, it really can present so many opportunities in both your personal and professional life. Social media is also a fantastic way to ‘spread the word’, whether about a news story, an opinion or an event and create communities. Rather than just relying on email, we can now publicise our training events through social media and reach a big audience, quickly and women in IT have access to instant advice, information and tools to help boost their careers. In terms of numbers of women in IT, the figures have been fairly static. Women in the technology industry are still a minority, and although a lot of efforts are being focused on improving that, it is going to take time. Although the economic crisis slowed recruitment, I don’t think it dampened commitment to diversity, which is still strong in many organisations. When it comes to the next five years my hope is that there will be more emphasis on encouraging young people – both girls and boys – into IT careers. It’s a great industry to be in, but I just don’t think that message is reaching young people today. We’re currently supporting the e-skills UK Girls in IT campaign and encouraging IT professionals to deliver career talks and do anything else in their power to inspire the next generation to pursue careers in IT, so hopefully that will build momentum over the next few years. On the fifth anniversary of our launch we asked our network of women in IT what they thought would happen over the next five years. The majority of respondents felt that the number of women both in IT and in senior roles would increase – as one person put it: “I think the number of women will increase as the younger generation are very much the digital native generation; however the level to which it increases relies on our intervention now”. When asked what they would like to see happen, replies included equal pay, more support options and flexible working and women being more openly recognised as doing a good job. Hopefully these are areas which will see improvements by 2015. In 2005, when Patricia Hewitt was Secretary of State for Trade and Industry and Minister for Women, she said “It is a high priority to get more women to take up IT careers. When technology firms are forced to recruit from half of the available talent pool, it is not surprising that there are skill shortages and jobs not being filled.” The same remains true today. Let’s hope that over the next five years, and beyond, progress will be made in encouraging more women into IT, and getting them to achieve when they are there. womenintechnology.co.uk is an organisation committed to increasing the number of women working and achieving in the UK’s technology profession – since their launch in 2005 they have grown into a network of over 6,000 individuals. They provide a complete recruitment service, offer a dedicated online IT job board for employers, regularly host networking events, run professional development and career orientated training courses and provide in-depth information about key matters affecting the IT industry and the people who work within it. Any firms looking to hire more female technologists in the UK – highlighting why they are an ideal place for a woman to have a successful technology career – should have a chat with them! And any ladies working in IT or IT-related roles, should join their free network so that they can support you in building the highly successful and satisfying IT career you’ve always wanted. For more information, please go to www.womenintechnology.co.uk. You can also follow them on Twitter @womenintech, join their LinkedIn group ‘Women in Technology UK’ or become a fan of their Facebook page ‘Women in Technology’.